During the 2018 SIHH and Baselworld watch fairs, particularly the latter, there was an increase in the use of titanium either on its own, or mixed with stainless steel, gold or carbon-based metals. This was true for watches in all price categories and styles. Titanium is sought after for its low density and high strength. In addition, it is resistant to corrosion in sea water and chlorine. However, it requires different techniques than working with gold or stainless steel. It changes colors when it is heated, requiring some skill to control the changes in hues. It is also known to spontaneous combust when heated. Because of the difficulty of welding, titanium is frequently joined with mechanical methods such as riveting or setting. It also takes to a number of different finishes. Both of these attributes lends itself well to watchmaking. Few watch manufacturers have taken to titanium like Bulgari. 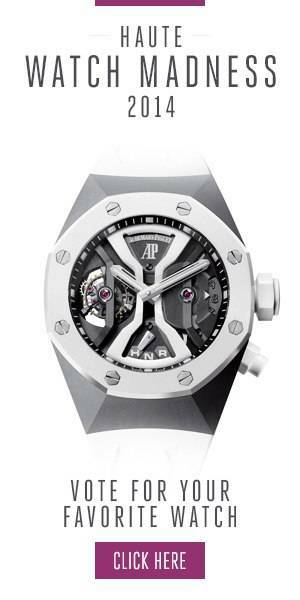 The luxury brand introduced a number of watches during the past few years with titanium cases. This year at Baselworld was no different. Leading the introductions this year is Bulgari’s Octo Finissimo Tourbillon Automatic. This watch is being celebrated as one of the top introductions this year primarily for its overall thinness. At just 3.95mm thick, it takes the prize for being the world’s thinnest automatic watch, the world’s thinnest automatic tourbillon, and the world’s thinnest tourbillon. Much critical acclaim has been made for its Caliber BVL 288 movement, and rightfully so, as it measures just 1.95mm thick and has a 52-hour power reserve. However, second billing should go for its sandblasted titanium case that reveals the openworked skeleton movement, while providing strength. lightness and beauty to this groundbreaking watch. Combining an in-house produced chronograph and world time complication, this watch features the two chronograph pushers along with a crown at 10 o’clock to control the rotating city disc. The large 44m titanium case enhances readability while being only 13mm thick, thanks to the lightweight and strong metal. Jaeger-LeCoultre says in addition to its structural qualities, titanium is has a “warmer tint than steel.” The watch is powered by the Jaeger-LeCoultre Caliber 752, with a 65-hour reserve. Five Watches To Celebrate Summer Time!